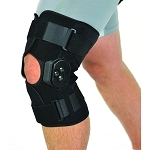 As the weather cools down, football heats up, and families get together People are getting more active outside, and hurting their legs due to extra physical activity while exerting themselves isn’t uncommon, Be prepared with options, that will have them out on the courts or fields in no time. 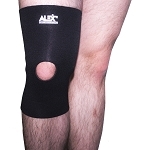 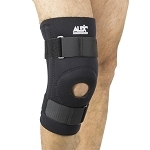 Alex offers a wide variety of knee braces, that are economical, comfortable , and wearable. 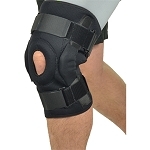 Our Knee stabilizer (9242), and Knee wrap brace (9245) gives support, relieves pain and doesn’t restrict mobility If it’s an arthritis flare up or an old injury resurfacing our pull-on knee support (9030) , provides warmth and support to the joints.